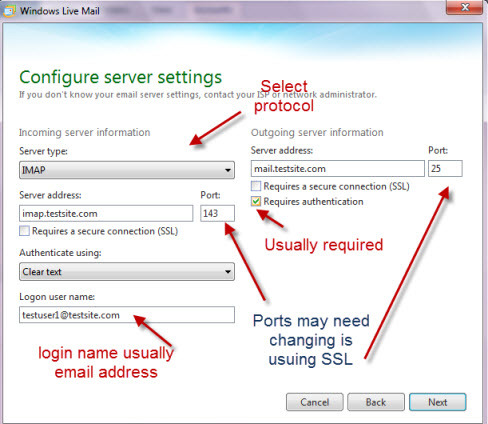 Before you can use the Windows Live Mail client you will need to setup and configure it. When you open Windows Live Mail for the first time a wizard guides you through the new account setup process. Before proceeding with the setup you need to obtain your email setings from your email provider. SMTP server name– This sever is used to send email. POP3 server name-This server is used to receive email. Fill out your account details and if you are connecting to Gmail or hotmail then you can leave the manually configure server settings unticked as the wizard will enter them for you. Otherwise tick the box and click next to configure the server settings. Select the server type (usually IMAP) and enter the addresses of the IMAP and SMTP servers. You need to pay attention to your server security settings as many email servers now require SSL (Secure Sockets Layer). Almost all require SMTP authentication. 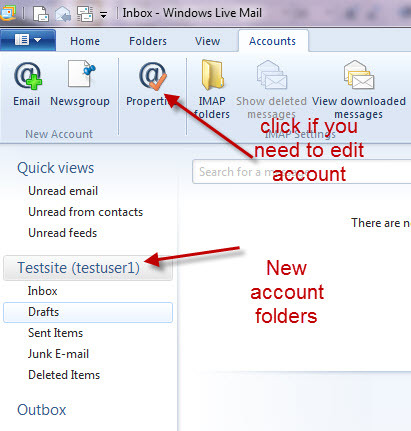 The account folders will appear in the folder list (IMAP account) and your email should start to synchronise. You can edit the account details if you have made a mistake by clicking on the properties link. 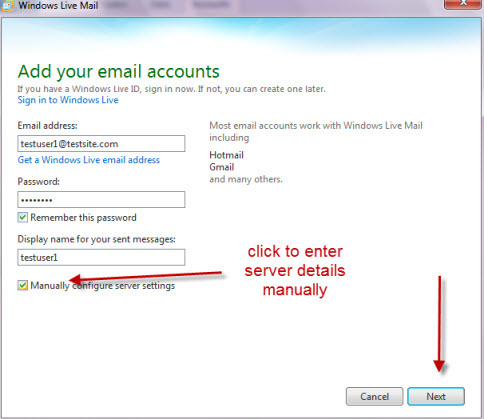 If you set up a POP3 Account then the option Leave email on the server is enabled by default. In outlook express it was disabled by default. Security– Almost all Email providers require authentication for SMTP if you forget to enable it you will have a error when trying to send email. Encryption and Ports– When you enable SSL for POP3,IMAP4 and SMTP the client will try to use the default ports. Some ISPs use non-default ports with SSL so you will need to check. 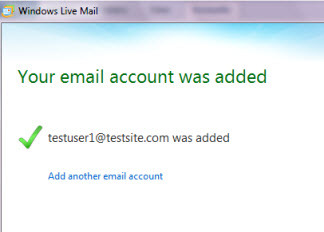 Bad Username -Most Email servers require a user name of the form testuser1@testsite.com (i.e. the email address). The client usually defaults to testuser1 (i.e. the display name).